You know how it is, sometimes you fall madly and deeply in love with an artist and their music, like I did with SvE’s Epic a couple of years ago and this year with Tramp. The music is contagious, addictive; albums that get played over and over gathering unintended resonances, meanings for someone or something else that you gather to yourself and make your own. The trouble is when you see and hear it live it can then be a massive disappointment, eroding and diminishing the joy you have accumulated. Not so with SvE. I have waited for what seems an age to see her and so expectations were high but it was a breathtaking and mesmerising show. The four piece band was excellent (SvE, Heather Woods-Broderick [sister of Peter], Doug Keith and Zeke Hutchins) playing with the sensitivity required of the material but with the pep needed for a live situation. The drummer, Zeke Hutchins, was a joy to behold, a wonderful combination of loose limbed relaxed but tight and precise with a blissful expression throughout, “Sharon! Your drummer is amazing ” bellowed the Peeblemeister in his most manly fashion across the crowd between songs, he clearly wasn’t the only one who thought that. The set was the fabulous mix of the last two albums with the older Tornado (flaky – and distant – vid below) delivered mid-set by SvE alone. Everyone will have their own favourites, the Peeblemeisters Peace Signs was there as was mine, Don’t Do It, both from Epic. Give Out was spellbinding and indeed the new album sparkled,shone and shimmered: Ask, Serpents, Kevin’s, oh, the whole damned lot was perfect. SvE herself was astounding, the voice, the sultry looks (damn, I’m in love, let me count the ways) and a banter that was unaffected and personal, her charm and warmth – a winning combination of outrageous talent and someone you would just love to hang out with. The last slot of the set wasn’t a rabble rousing number but, I’m Wrong and Joke or Lie building to a slow, emotional climax that made your chest fit to burst. Of course there were encores but it could have ended right there, a perfect, perfect moment. Personally it had been a bad, bad week and if truth be told I felt more than a little guilty about going out to enjoy myself. But, not that I asked him, Pa would have told me not to be so stupid and to go. So go I did and how pleased I was; an unutterably wonderful evening, it doesn’t get much better than this. 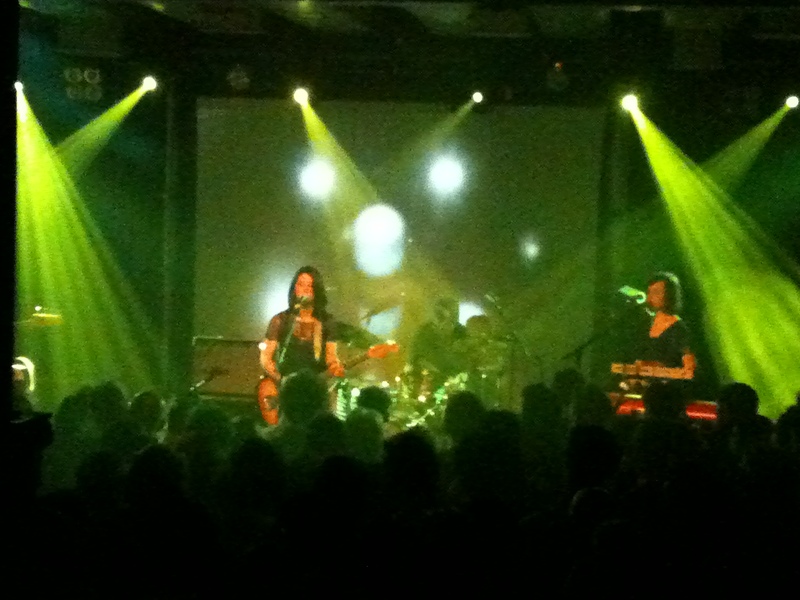 This entry was posted in Uncategorized and tagged Gig, Sharon van Etten, video. Bookmark the permalink.